The El wall shelf is another Member of the El family by Konstantin Slawinski. Unlike the previous models, this version can be mounted on the wall to serve as a practical as well as stylish storage solution. If desired, the wall shelf can be aligned either with the short shelf or the long shelf on top. Whether it serves as a spice rack in the kitchen, as a floating side table next to the bed, as a storage shelf in the hallway, or to present ornaments and books in the living room - El is extremely versatile and can fit into any decor thanks to its minimalist design. The shelf designed by Knut Völzke is securely fitted with the help of four screws. A magnet-adhesive board conceals the wall attachment. Stacked on top of each other and held together with the included magnets, a wall shelving system can be created according to individual needs. Isolated product of the Konstantin Slawinski - El wall shelf in the colour white. The El wall shelf is equipped with a longer and a shorter surface that can on top or underneath. 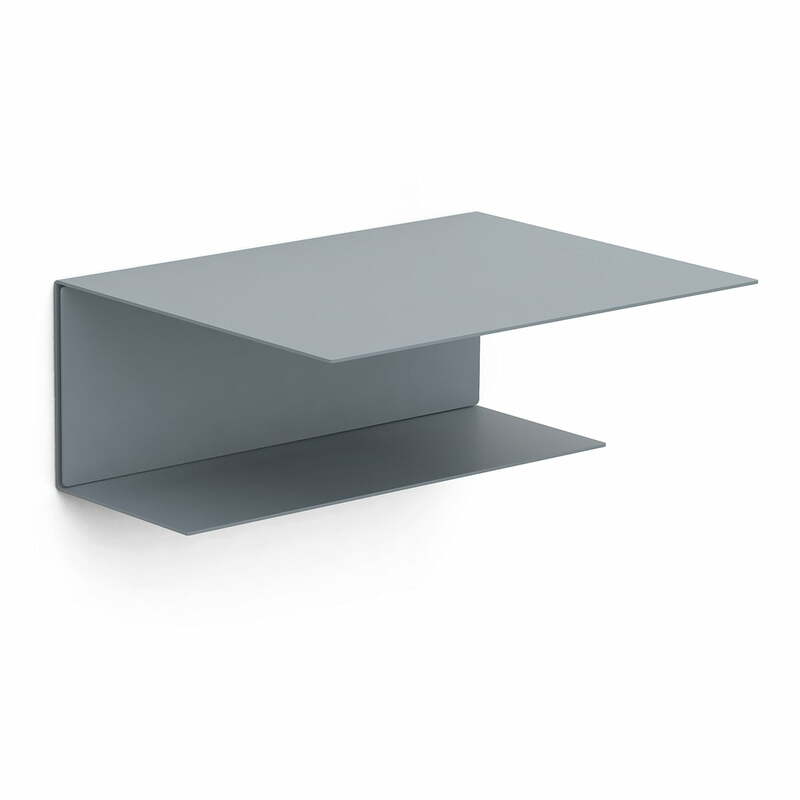 Isolated product image of the Konstantin Slawinski - El Wall Shelf, squirrel grey. The El wall shelf made of metal has a minimalist design that blends perfectly into any environment. 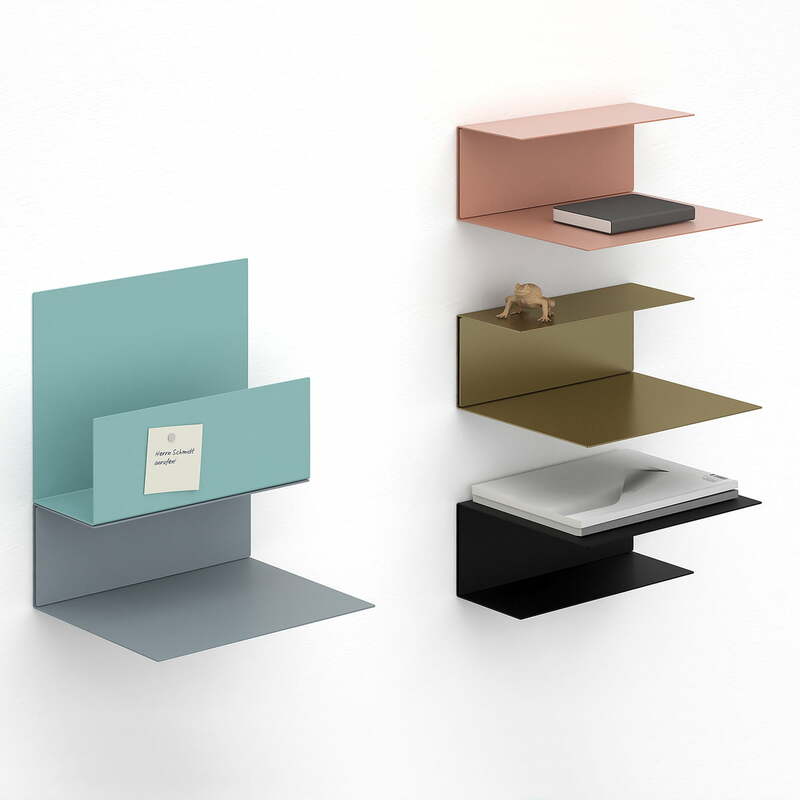 Group product image of the Konstantin Slawinski - El Wall Shelf in various colours. The shelf can be hung in various ways, allowing space to expand the system. 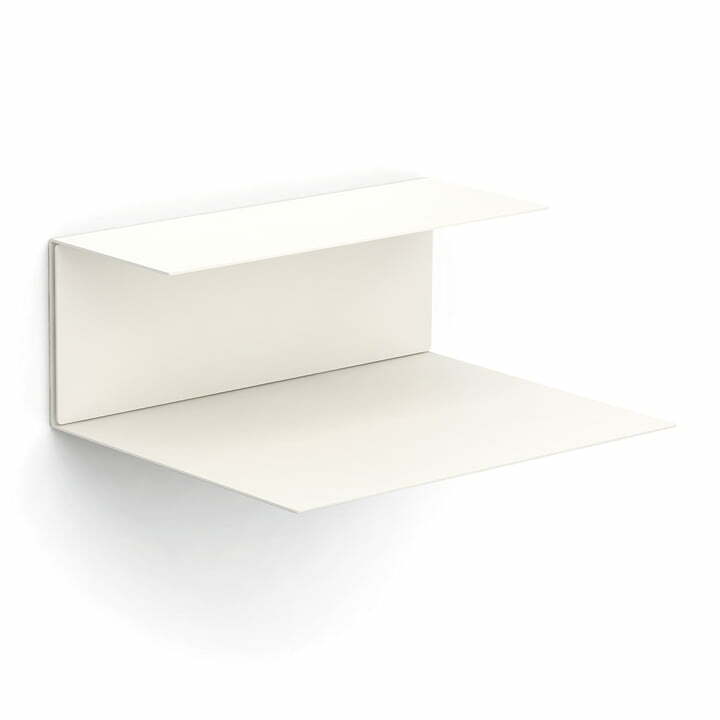 Isolated product image of the Konstantin Slawinski - El Wall Shelf. By arranging several shelves side by side, a shelving system can be created according to your needs.